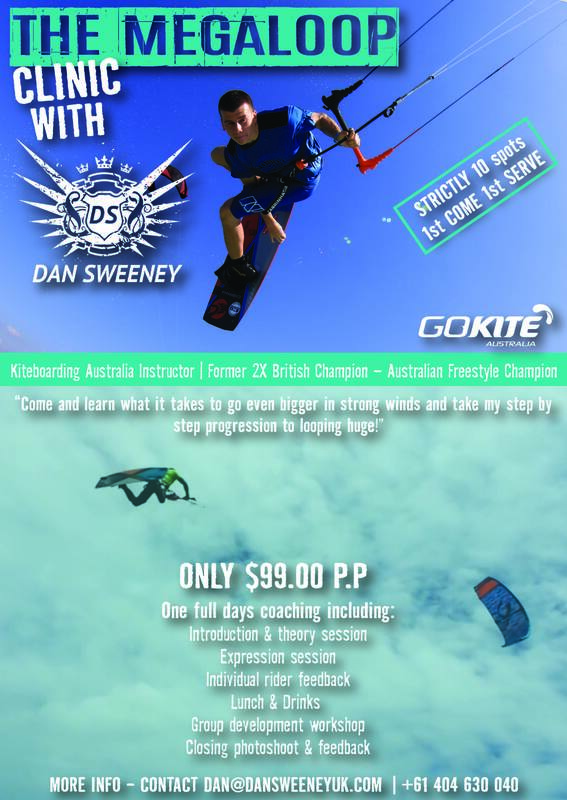 Join Dan Sweeney on a discovery high wind performance in this specialised Megaloop clinic, which will be held either Saturday or Sunday of the next Northerly wind forecast over 20knots, in Rosebud. The event will be confirmed on the Thursday before @ 5pm. Strictly 10 spots available, first come first serve. To book your place a full payment is required via Dan @ GoKite. Redbull Megaloop Challenge Wildcard clip from DS-P on Vimeo.